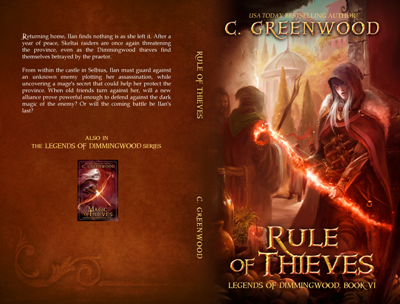 Rule of Thieves (Legends of Dimmingwood, Book 6) is out now! 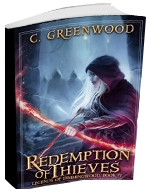 A big thank you to all my readers who followed along on this journey through Dimmingwood and stuck around for the conclusion to the series. I hope everyone enjoys this last adventure of Ilan’s. And never fear! Ilan’s story may have ended but the world of Dimmingwood will return in a brand new super secret project to be announced in 2016. (You did not hear the word “prequel” from me.) 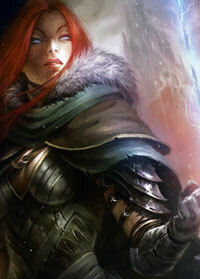 Meanwhile, sharp-eyed Dimmingwood fans will recognize some familiar locations in my latest series, Catalysts of Chaos. Want to be kept in the loop on these new books? Sign up here to receive my new release notifications by email. 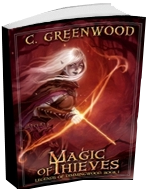 This entry was posted on Saturday, September 26th, 2015 at 10:00 pm in Book News. 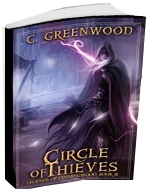 Tagged: dimmingwood book 6, new release, rule of thieves. You can feed this entry. You can leave a response, or trackback from your own site. It looks like something is wrong with these books in the iBookstore – only the first book in the series is available, the rest say they aren’t available in the US store. Hopefully it can be fixed soon, I was looking forward to continuing this series! I apologize for the inconvenience, Kelly. I’ve just sent you an email. Thanks for commenting. 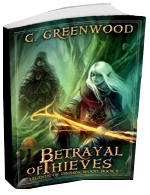 Not able to find an epub version anywhere..any specific reason? I’m happy to hear you’ve enjoyed the books, Jim. I don’t have a definite release date yet for Hope of Dragons but it will be sometime in 2018. Hope that helps!